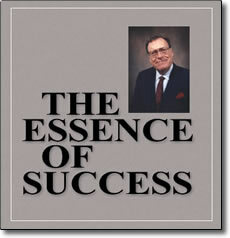 Treasure the most comprehensive collection of Earl Nightingale’s work! Experience an unprecedented journey of self-discovery with a remarkable achiever-teacher who spent his life researching ways to tap a person’s unreleased potential. This library is the heart of Earl’s 25 albums, 7,000 radio and television broadcasts, plus hundreds of other works — all with ideas that are as timely, vital, and challenging as if they were recorded yesterday. This collection is divided into ten volumes.